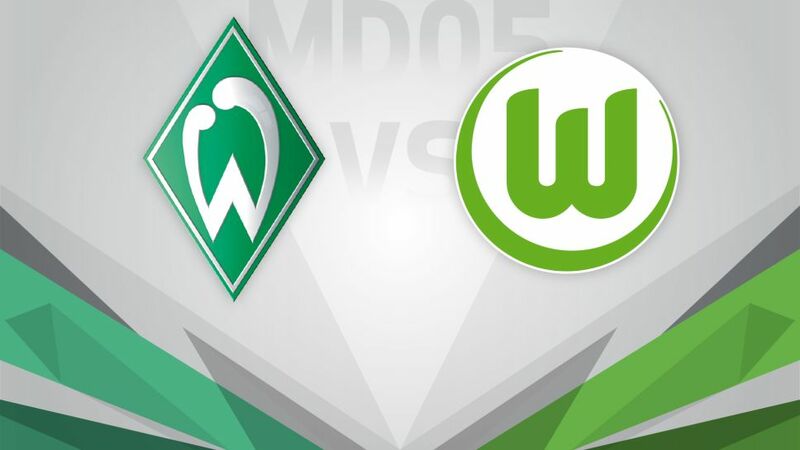 SV Werder Bremen will be looking to get their season up and running when they host a VfL Wolfsburg side on the rebound from a heavy midweek defeat this Saturday (kick-off 18:30CEST/16:30GMT). Bremen thought that elusive first win, or at least the first point of the season, would be theirs in midweek as they led 1. FSV Mainz 05 with just three minutes to go, but two late goals left them rooted to the foot of the table. Caretaker coach Alexander Nouri now leads the team out for the first time at the Weser Stadium, hoping to give the home fans some joy. Wolfsburg's season had been anything but disappointing until they came unstuck in Dortmund on Tuesday. With Mario Gomez still to get off the mark and Daniel Didavi sidelined through injury, Dieter Hecking's men have it all to do if they are to make an immediate return to winning ways at their northern Germany rivals. Bremen have lost the first four games of the season for the first time in their history.Wolfsburg have not won any of their last three games and, with five points, have three fewer than at the same stage of last season.Despite having 65 shots (more than top-scorers Dortmund), Wolfsburg have still only found the back of the net three times this season.The last five meetings between these two teams at the Weser Stadium saw 25 goals scored at an average of five per game.Wolfsburg have not won more away games (nine) anywhere else than in Bremen, with 34 goals also a record on the road.Gomez scored nine goals against Werder in the Bundesliga, scoring the first hat-trick of his career at the Weser Stadium in January 2008.